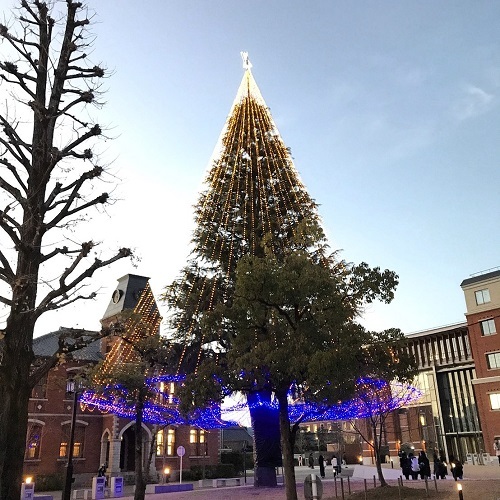 There is a Hymalayan Ceder Christmas tree on Doshisha Imadegawa campus. It is such a big tree so it attracts a lot of people’s attention on campus at this time of the year. It can be seen even from the Karasuma street. When I was an University student there, I always looked forward to seeing the tree to be illuminated every year. It is open to the public, so why don you come and see the tree?